We have been in Washington, DC for about a week now. When we stepped off of the plane, it was like something was kindled, awoken in each of us. We have been here a few times before, but since our own political awakenings, we haven’t seen DC. There is just something special about this place. Stepping on the streets and in the halls where history was made just does something to you. But as a black family, we probably experience this city and its history a bit differently than many of the tourists and passersby here. There is always a two-ness we feel; maybe not for all black folks, but certainly the two of us feel it. And, recent political news has made that feeling all the more salient. With the Zimmerman Trial airing in every diner, hotel lobby, convenience store, and bar in the city, it has been near impossible to enjoy the closeness of our government without concomitantly acknowledging its frailty. Not only that, the city itself represents our own shortcomings, our infatuation with pomp and circumstance, our cognitive dissonance with the realities of our social life, and our inability to truly embody the ideals set forth in our nation’s Constitution. This city ennobles our imperfection. Sunday night, during a beautiful, uplifting event, I checked Twitter to find that George Zimmerman, 28, was found not guilty on all charges as he was tried for second-degree murder in the fatal shooting of Trayvon Martin, 17, early last year. The jury, after enduring a few weeks of drawn out testimony, legal altercations, and all out disrespect in the courtroom, needed just a little over sixteen hours to deliberate. In the end, they couldn’t even find a legitimate reason to charge Zimmerman with manslaughter. By now, you have probably seen a rant or two on the decision. And, since I am hardly surprised at the outcome of the trial, I am not here to re-litigate who did what, or whom is responsible for whom. To lay the foundation for my assertion in the title, I will say this. What we do know about that fateful night is 1) George Zimmerman pursued Trayvon Martin, an unarmed black teen walking home after buying candy and a beverage, 2) an altercation ensued, and 3) Trayvon Martin was shot and died as a result of his gun wounds. It took several weeks and protests for Zimmerman’s arrest to actually happen. And, in the end, a six person jury consisting of five white women and one non-white/non-black woman, found Zimmerman not guilty on all counts. I find this case to be particularly interesting not because of the actions against either Zimmerman or Martin but the social psychology enabling the entire ordeal. My thesis is quite simple: In this country, black men are deemed unintelligent, irascible, scary, dangerous, and violent. Therefore, we are all afraid of “them.” So, we all have a little Zimmerman in us. Yes, all of us. You don’t believe me? How many times have you looked at a black man and discounted his abilities, strength, aptitude? Better yet, how many times have you walked by a black man and reviewed his hairstyle, style of dress, body art, or jewelry to measure how “safe” he was? How many times have you referred to a well-spoken black man as “articulate,” “eloquent,” or “smart,” not just because they were that adjective but because your expectation of them was greatly exceeded by what you experienced in reality? I know I have done it. My own father made me question if a black man could really be a good father. And, my predominantly black community in Oakland, CA was a mecca of gang and drug violence among black males. I even feared the black men in my own family. Not because of who they were but because of what they might do. I didn’t need any real-life negative experience with a black man to know, inherently, that he could be bad. I had enough training from the media, television, news, and culture around me to fill all the holes in my spotty, Swiss cheese-like back story. As a result, I have avoided certain neighborhoods and events for fear of what black men might do. Why? Because I was socialized to do so. My country made it clear to me from a very early age who the good guys and bad guys were. Yes, snipers, mass murderers, and rapists were always predominantly white, but it was always clear that black men were much scarier and much more common. Zimmerman likely received much of the same messaging. And in essence, the jury was saying, “We can’t prove that Zimmerman wanted to kill or harm Martin but we can certainly prove that he was afraid of him.” Why wouldn’t he be afraid? Black skin and a hoodie is menacing enough. But, if Martin actually held his ground, defended himself against an unknown assailant, and fought back when pursued, wouldn’t that just make him scarier? Of course it would. Black men are America’s living boogie men. Who needs Freddy Kruger? I am for protests. I am for lobbying. I am for challenging the decision. I am even for getting a little angry. What I am also for is addressing the true problem rather than the symptoms. I am for attacking the problem at its root not its stem. 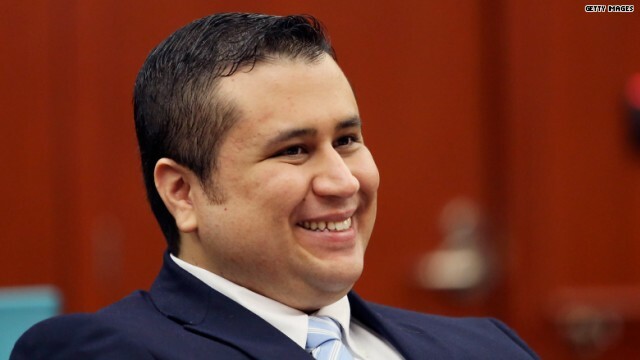 Is George Zimmerman (the man) the problem? No. Is George Zimmerman (the idea) the problem? Almost. Are all of us the problem? Very much so. At some point, we will need to have intelligent, well-developed, inter-social dialogue about race politics in this country. We will have to be honest with ourselves, not in private but in the most vulnerable presence of others. We will have to admit our biases. We will have to acknowledge our shortcomings. We will have to recognize the humanity in others. And, most importantly, we will have to abandon our limited, biased perceptions of our fellow citizens. Any country which jails folks who accidentally shoot themselves or who lose their child to a drunk driver running down pedestrians or who shoot warning shots without hitting a single living thing while letting a gun owner who admitted to a physical altercation with a 17-year-old resulting in the young man’s subsequent death via shooting, cannot truly call its legal system “justice.” We have no “justice” system in this country. Instead, our socio-economic system of haves and have-nots permeate EVERY SINGLE LEVEL OF LEADERSHIP in this country. And, legitimacy complexes prevail. In this altercation, the jury found that Zimmerman’s fear and subsequent action shooting and killing Martin was legitimate. Conversely, Martin’s reaction to someone whom he may too have feared was not. We can’t be sure why but it would seem that the situation in and of itself is steeped in racial tension. It runs so deeply here, it is virtually invisible. Unknowingly, we all embody the positive and negative racial precepts of our predecessors. And, no matter what the system decides, our biases prevail. The system, though objective in nature, cannot properly handle these types of scenarios. It can’t properly piece apart deep-seated racial animus provoking racist action. It can’t adequately adjudicate pre-conceived notions and acts of racial profiling when they are masked by our mutual fear of the person profiled. Our system can only deal with the facts presented. But, the systemic, institutionalized system of debilitating racism and discrimination in this country, that is something we can deal with. Until we protest, rise against, denounce, and reform that system, we will all have a little Zimmerman in all of us. It is hard to admit. But, it is true nonetheless. Don’t do nothing. Do something. Do it to clear out the remnants of poison germinating in each of us. Root it out in every one of us. Do it for justice. Fight the idea. Ideas change things. Previous story Geek or Nerd or Glerd: Do You Know the Difference?